Admission to the University Carol Service is by free ticket only. The second and final distribution of tickets will be at 5.45pm in the Grimond Foyer on Tues 4 Dec. Please bring ID. 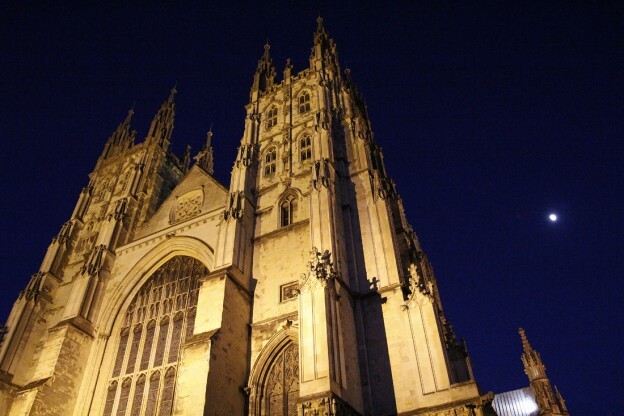 The event itself takes place in Canterbury Cathedral on the evening of Mon 10 Dec and will feature performances the University Chamber Choir and student Gospel Music singers. Much of it takes place in candle-light. There will be an appeal for Porchlight, a charity supporting homeless people in East Kent. Wheelchair access and Sign Language (BSL) interpretation will be available at the event, reflecting the values of Disability History Month (but please notify us of any requirements). This entry was posted in Medway Student, Student Guide on 3 December 2018 by Allie Burnett.